Guest writer Brett Smart makes a welcome return with 7 explosive property tips for building your letting portfolio. Get ready to take notes because this is solid, actionable advice! If you don't have a Portfolio which pretty much runs on auto-pilot, is low hassle and delivers returns in excess of 7% NET then you've probably got a portfolio. Which means you’re probably working harder than you need to, spending more money than you need to and working your way towards your objective much slower than you need to. 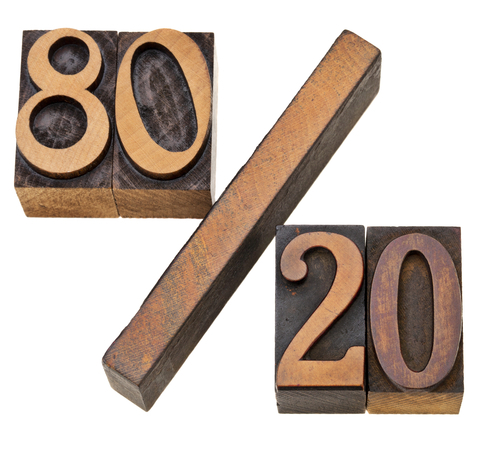 Tip #1 – Apply the 80/20 rule to your portfolio. Review your portfolio using the 80/20 rule. 80% of your headaches will come from 20% of your properties, 80% of your profit will come from 20% of your properties. Segment your portfolio so you know which ones are aiding you and which ones are sucking you dry. Tip #2 – Increase your prices by 10%. Your properties should always be priced in the top 10% of the properties in their range, on the proviso that they are of good enough quality. If they aren't then plan a program of upgrades. Tip #3 – Use the Green Deal Program to upgrade your properties. Upgrading your properties so that they are seriously energy efficient has never been easier. Tap into the green deal and make sure that the energy efficiency of all your stock is top draw. This also makes the property more attractive for tenants as bills will be lower. Tip #4 – Systematically get rid of under-performing stock. If you have stock which is costing you money then get rid of it or apply a high yielding exit strategy. Tip #5 – Use High Yielding Exit Strategies. If you have an under-performing property change the usage from Buy to Let to an alternative high yielding exit strategy such as HMO or Delayed Completion. Tip #6 – Recycle your Money. Many investors leave money in the deal. Choose the right strategy and it's possible to continuously recycle your principal. While it may require a bit of additional effort to source and manage these types of deals the returns more than justify the extra effort. Tip #7 – Systemise your investing activities. You can put an additional 10%-15% on your bottom line by systemising your investing activities areas such as property sourcing, tenant sourcing, property management and your accounts are great areas to target initially. Brett Smart runs a boutique Lettings Agency, he is a Landlord and active Property Investor. He provides practical and straight forward hints & tips to Landlords learnt over the last 15 years at the school of hard knocks.